As the pop culture world continues to wrestle today with the sudden death of chef, world traveler, and boundlessly enthusiastic experience-seeker Anthony Bourdain, his home network has announced at least one of the ways it’ll be paying tribute to him. Per Deadline, CNN—which, since 2013, has served as the home of Bourdain’s much-loved food and travel show, Parts Unknown—has announced that it’s devoting much of its programming this weekend to celebrating Bourdain’s work, and the endless curiosity that fueled it. The network’s tribute will start tonight, with a remembrance special titled Remembering Anthony Bourdain, set to air at 10 p.m. Eastern. Then, tomorrow night, CNN will air a marathon of Bourdain’s personal favorite episodes of Parts Unknown, followed on Sunday by a new episode of the series, filmed in Berlin, and then a re-airing of the Remembering special. 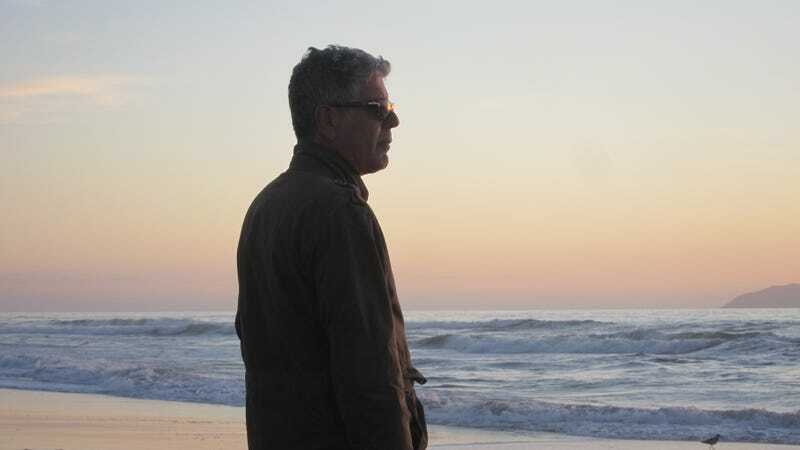 Meanwhile, Bourdain’s former network, Travel Channel, is also running its own tribute to him, announcing this afternoon that it’s devoting its entire Sunday block of programming, from 7 a.m. to 7 p.m., to episodes of his earlier series—and the place where he honed his unique blend of travel show, tourism, and cultural commentary—Anthony Bourdain: No Reservations. What’s your favorite Anthony Bourdain moment?